Johnson & Johnson (JNJ) engages in the research and development, manufacture, and sale of various products in the health care field worldwide. The company operates in three segments: Consumer, Pharmaceutical, and Medical Devices and Diagnostics. 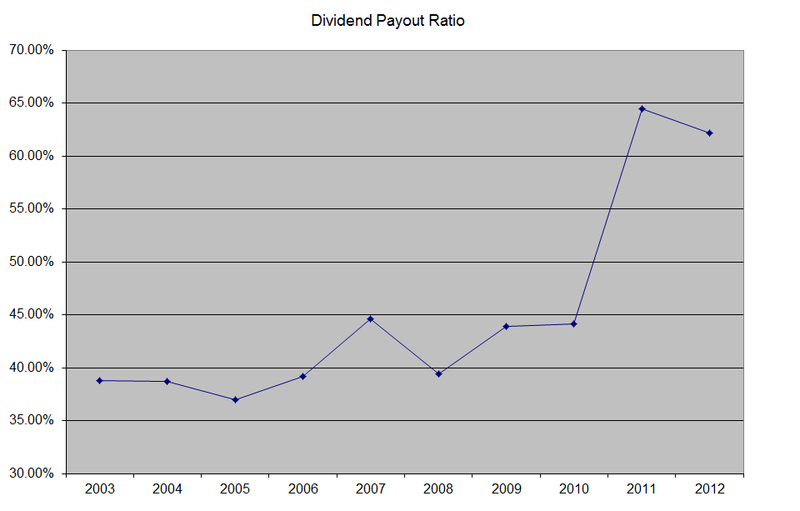 This dividend aristocrat has paid uninterrupted dividends on its common stock since 1944 and increased payments to common shareholders every for 50 consecutive years. 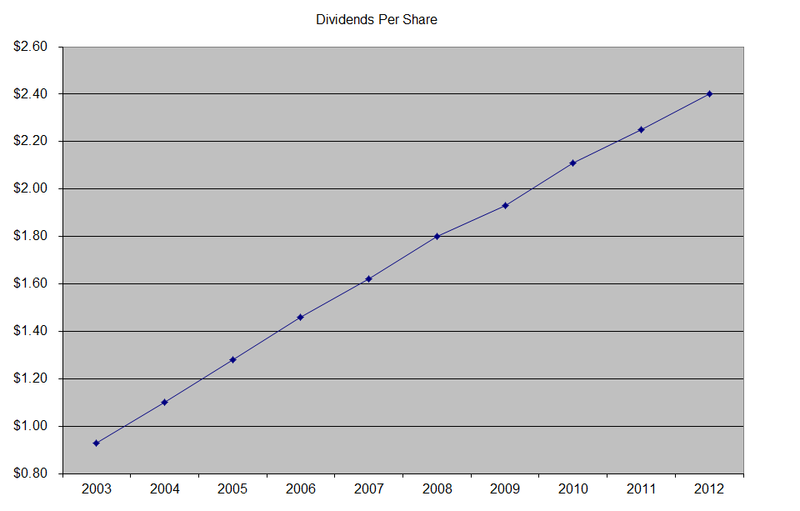 There are only fifteen companies in the US which have managed to raise distributions for more than half a century each. 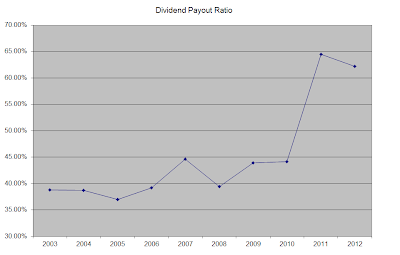 The company’s last dividend increase was in when the Board of Directors approved a 7% increase to 61 cents/share. Johnson & Johnson's major competitors include Pfizer (PFE), Bristol Myers Squibb (BMY) and Novartis (NVS). 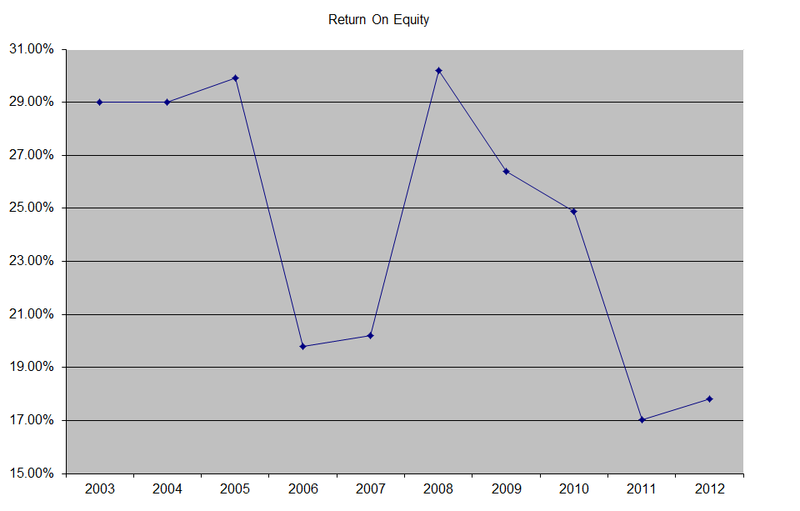 The company has managed to deliver a 5.40% annual increase in EPS since 2003. 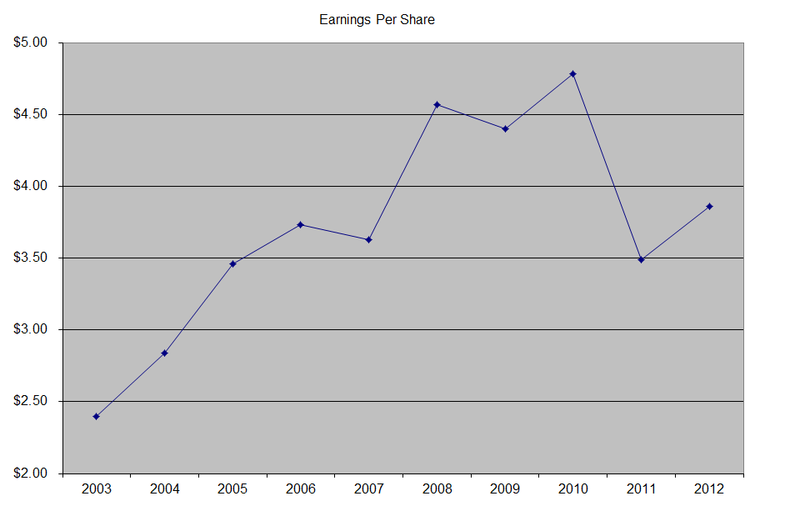 Analysts expect Johnson & Johnson to earn $5.41 per share in 2013 and $5.78 per share in 2013. 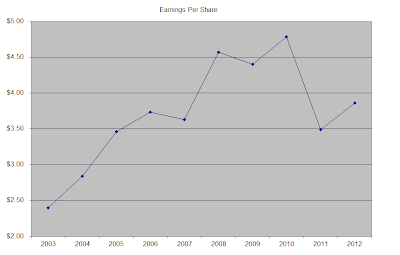 In comparison Johnson & Johnson earned $3.86 /share in 2012. 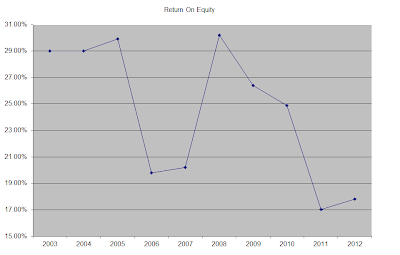 The amount was lower due to one-time accounting charges against net income. 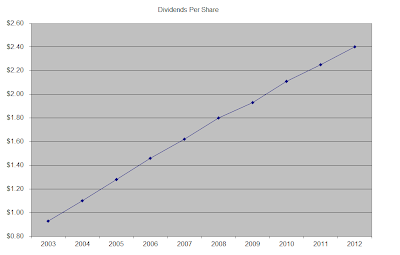 Currently Johnson & Johnson is attractively valued at 14.60 times forward 2013 earnings, has a sustainable dividend payout and yields 3.10%. I recently added to my position in Johnson & Johnson.